Accepting applications for 2 post-doctoral associates to work on a recently funded ENIGMA-Addiction project (R01DA047119). These positions are renewable for up to 3 years. Stipends will be approximately $49,000, depending on previous post-doctoral experience. The ENIGMA consortium was established to investigate brain structure, function, and disease by combining genomic and neuroimaging datasets from multiple sites. Its goal is to maximize statistical power and the yield from existing datasets through very large data pooling efforts. 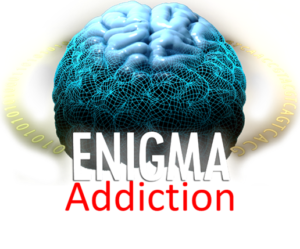 ENIGMA-Addiction aims to identify robust brain markers of dependence for genetic association analyses, and to examine genetic and brain markers for the transition between stages of substance use across the lifespan. Genomic and neuroimaging analyses on this unprecedented collection of data should produce important new insights into the neural and genetic basis of addiction. As a Post-Doctoral researcher, the candidate will be responsible for neuroimaging and/or genetic data analyses on projects designed by the candidate themselves. Please contact Hugh.Garavan@uvm.edu and msmackey@uvm.edu for informal enquiries.